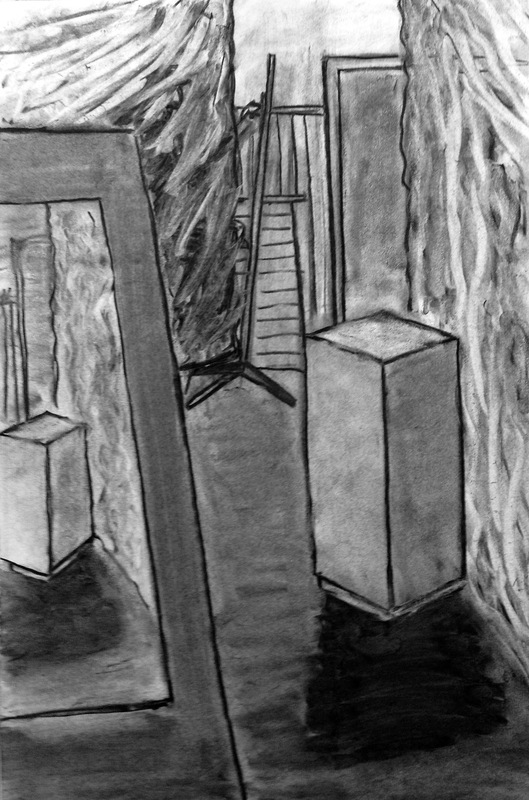 Nothing too spectacular this time, but here is this half-terms art project. 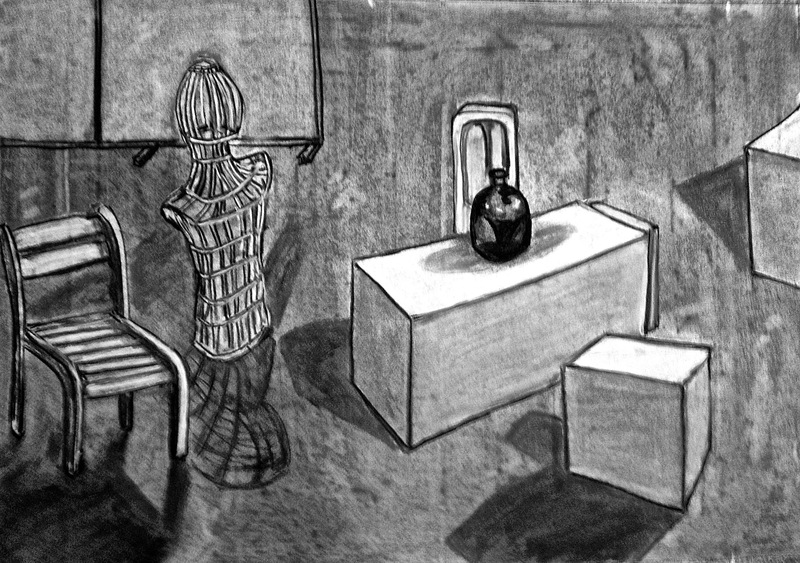 So to warm up, a simple pencil drawings of some objects arranged in the middle of the studio. 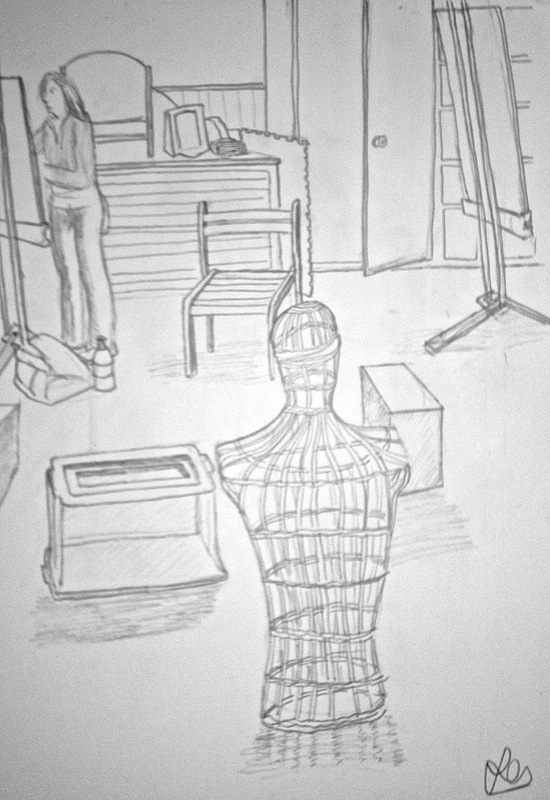 The mannequin will feature a few times in this particular post. 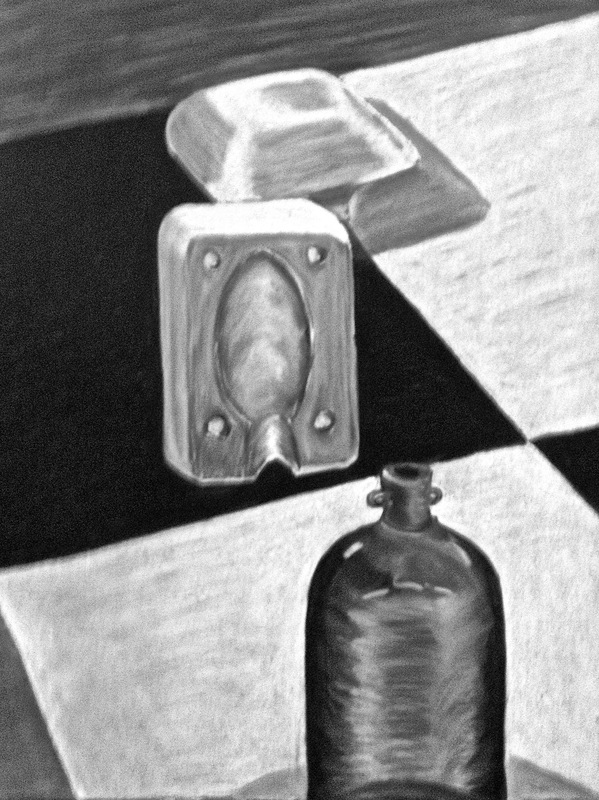 Then a charcoal and chalk drawing that is ‘reduced’ – it started with the whole paper shaded black before creating shapes using an eraser and then moving on to detail.. 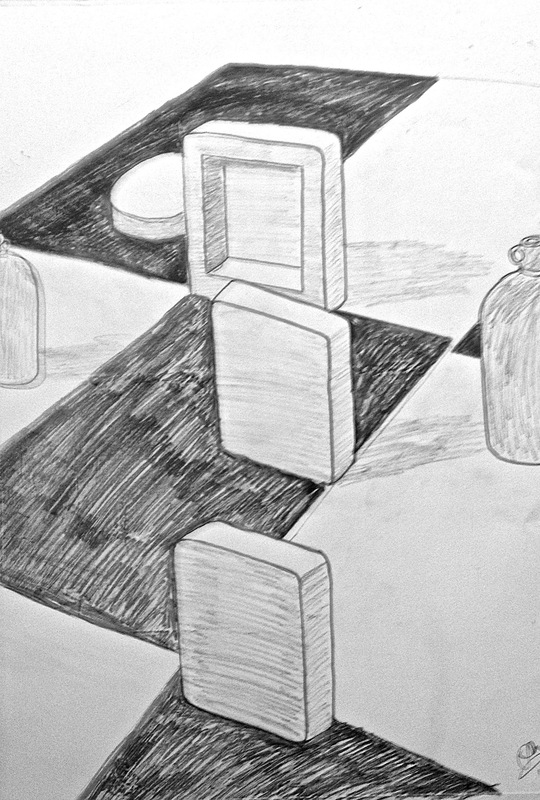 The following week we were working on perspective by drawing basic objects arranged on a checker board. 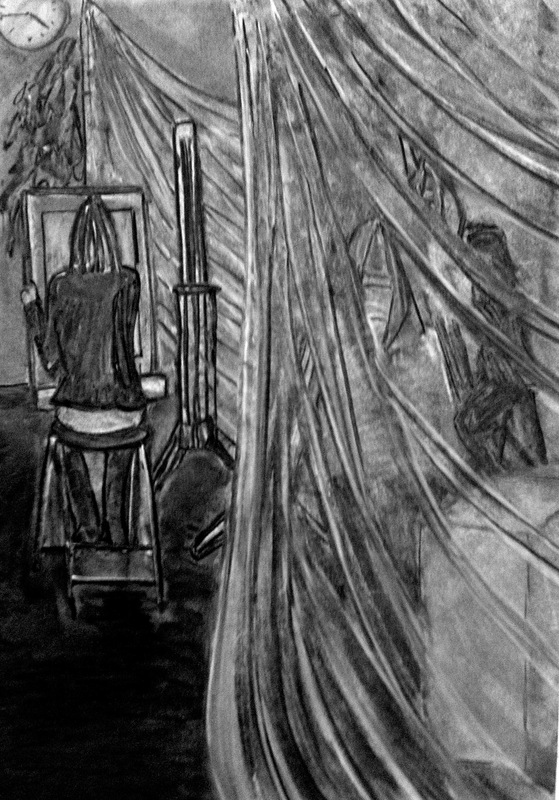 Again the first is pencil, the second charcoal and chalk. As ever my second picture is better I suspect. Perhaps it is the cup of tea during the break that does it. Rock & Roll. 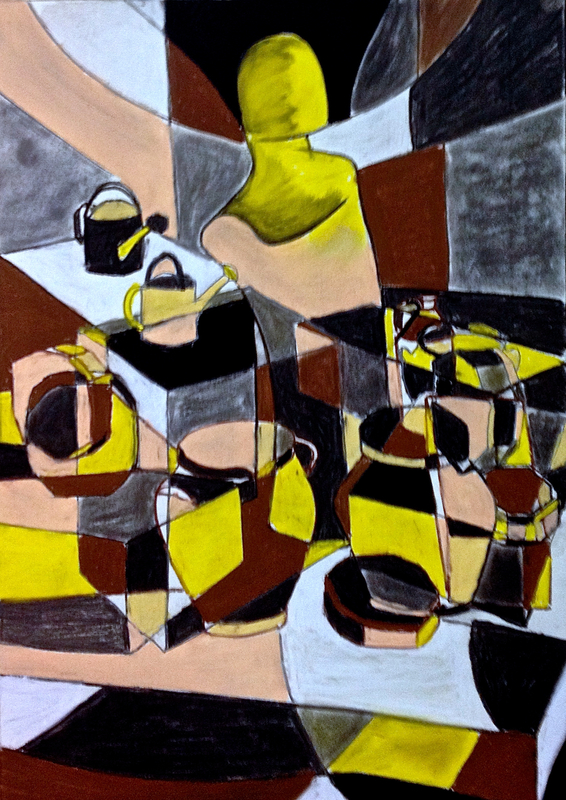 Finally, we returned to the original objects but this time attempted a cubist picture. This was very enjoyable, probably more enjoyable than the actual end product. You can recognise the manequin from earlier pictures. I was going for a 60s Prisoner feel, see what you think. All in all, an interesting and stretching project but I am looking forward to getting back to paints next time! Next Next post: 2013 so far – a Brits antidote.